Rise and Shine! Only it’s still dark outside. 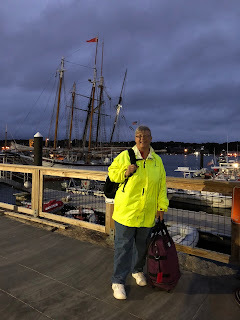 We left the boat about 6:15am to meet my airport shuttle. John was there within minutes of us arriving. We said our good-byes, and I was off to Boston. The traffic wasn’t bad. John used to own motorcycles, so we talked about the Sturgis rally for a good part of the trip. We used to live 20 miles from Sturgis. He never made it there. But he used to watch the TV show, the Full Throttle. It really was nice being dropped off at the door. The only thing I had to worry about was having an accident or getting stuck in traffic, neither of which was a problem. On my layover in Atlanta, I ate at a P.F. Chang’s. My fortune cookie said “you will soon gain great wealth”. Sounded like a good fortune for someone heading to Las Vegas. Debbie Johnson picked me up in Phoenix as soon as I arrived at 5:30 pm. 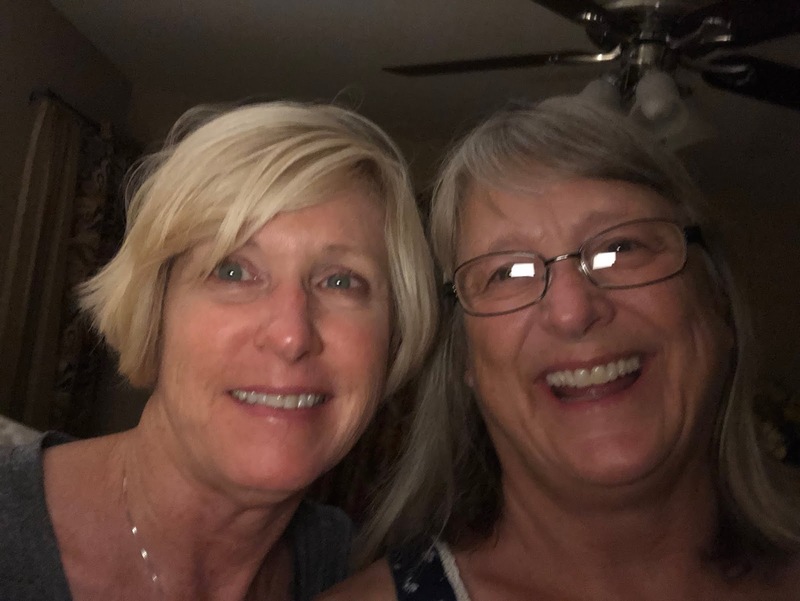 Debbie and I have been friends since our kids played soccer together over 20 years ago. She left Rapid City about 7 years ago. We headed to Lucille’s BBQ for take out. Stopped at Trader Joe’s for a few things for the weekend. Once we made it to her home, we ate our BBQ meat on the salads. I was ready for bed with the 3 hours time difference. Tomorrow we will drive to Las Vegas and pick up 2 other friends. Martha and I met almost 30 years ago. When she first moved to Rapid City, she worked for me as a dental assistant. She returned to college after a few years, but we continued to be friends. It’s hard to believe she moved to Seattle in 2004. We have only seen each other a handful of times since then, but have stayed in touch. I met Cheryl in Rapid City at a Chamber Mixer in about 1988. She left Rapid City early 2016 to crew on sail boats. We have actually crossed paths in the Bahamas during the winter of 2016 and 2107. The four of us, and other friends, used to get a winter cabin in the Black Hills for a weekend once a year. We referred to ourselves as the Cabin Girls. So this is our Cabin Girl reunion. The four of us have not been all together probably since Martha left Rapid City. Look out Las Vegas! !